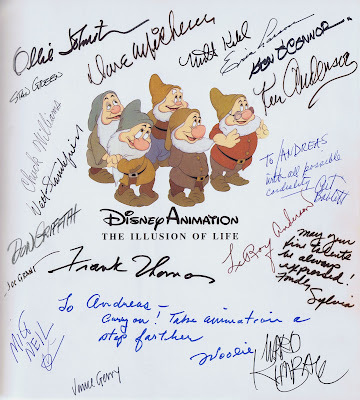 Soon after I started working for Disney, Frank & Ollie published their first book The Illusion of Life. 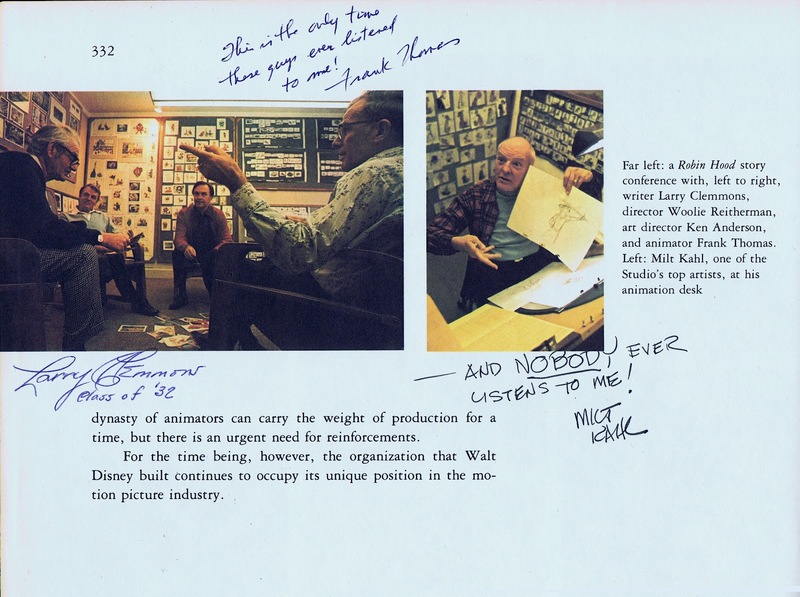 I purchased a copy of it during a trip to San Francisco on my way to see Milt Kahl. We met up in Sauselito at the Spinnaker restaurant. 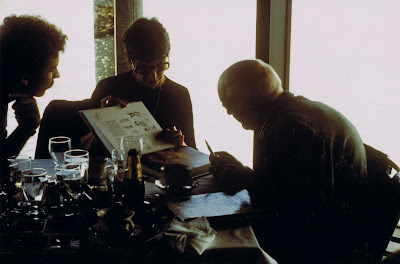 The photo shows Milt's wife Julie discovering her husband's drawings of Pinocchio on page 221. 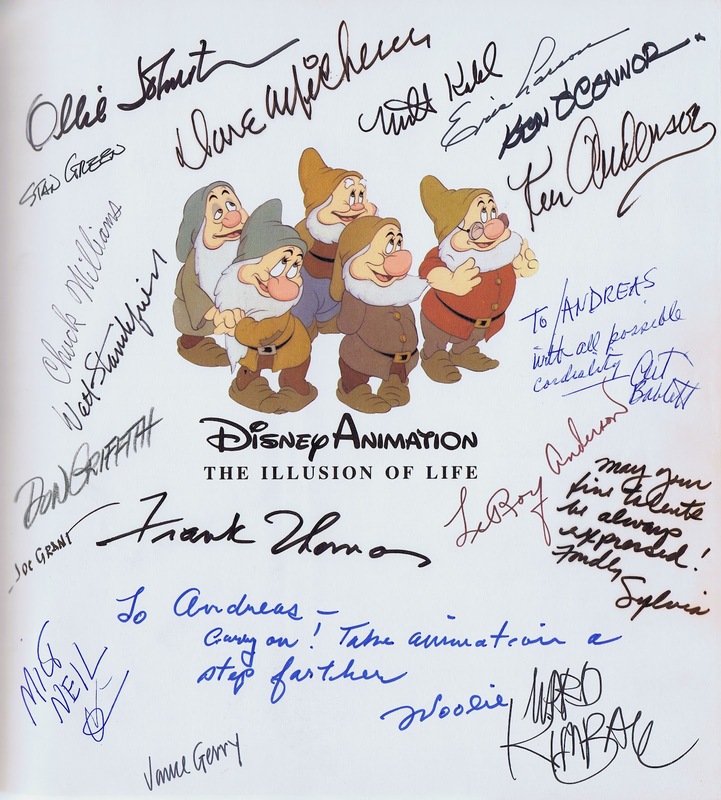 Back at the studio I had the book signed by other Disney legends, many of them were still working there. Quite the lineup of signatures. Of course Woolie Reitherman's comment has been very meanimgfulto me. This page is from Christopher Finch's epic book The Art of Walt Disney from 1973. I purchased this copy from a previous Disney background painter. She had it signed by many Disney artists who were around at that time. 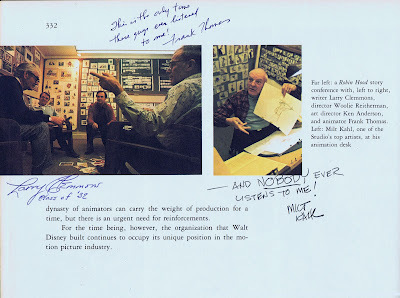 I want to share with you page 332 because the comments by Frank Thomas and Milt Kahl are pretty funny. But they also show how under appreciated these two animation superstars felt.